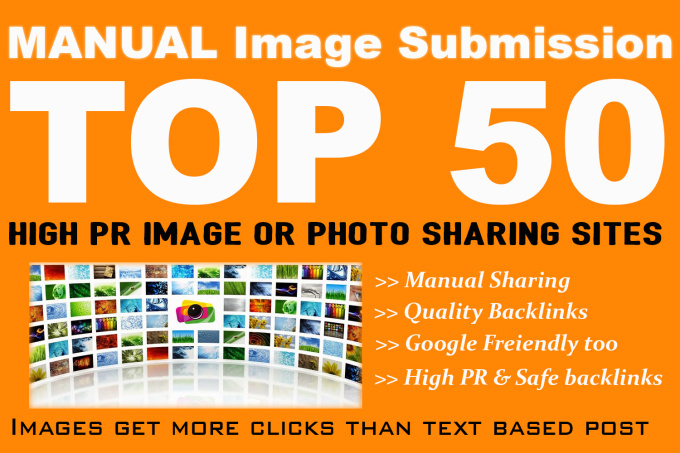 I will do 50 infographic submissions manually on HIGH pr and good infographics sharing sites. FLICKR, IMGUR, TUMBLR, PHOTOBUCKET, PINTEREST and many more sites. Note : I will do 50 infographic submissions manually on HIGH pr and good infographics sharing sites. We will do the submissions and provide report for the same.Approvals of the submissions made are done by the respective websites within duration of 2days-3months depending on the popularity of website and type of content submitted. What you will receive from me ? How Infographic submission helps ? For more information contact me before ordering.